6km from camping, Sarlat la Canéda is a must for your stay in Dordogne. 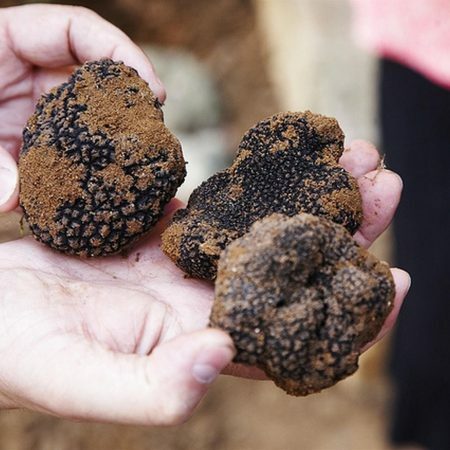 Discover this sumptuous century-old city, the jewel of Périgord Noir! 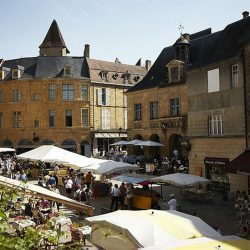 Built around its great Middle Ages Abbey, Sarlat became a thriving trading town from medieval times and a strategic place during the 100 years War. In spite of numerous attacks, Sarlat knew, conservative and to emphasize the testimonies of its rich and glorious past and became, today, the most important tourist site of Périgord. Explore the winding streets lined with medieval houses, admire the vaulted passages, the cathedral and the mansions of the 15th and 16th centuries. Visit the Saint-Sacerdos Cathedral, Lantern of the Dead, a superb Romanesque tower built in the 12th century, the Hôtel Plamon fort, built in the 16th century.